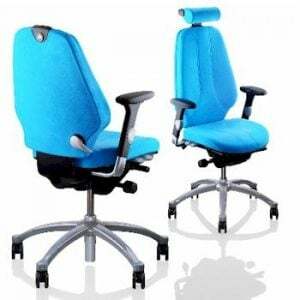 Seated is a name that has been associated with premium quality office furniture for over 15 years. We specialize in designing ergonomic seating and accessories for both the home and office workspaces. Our clients include both large and small businesses, government departments, educational institutions and homeowners. We have a talented and tech-savvy team at our disposal that designs and manufactures elegant yet functional office furniture to be distributed across Australia. We combine your style and design preferences with our own extensive knowledge of ergonomics in creating executive office furniture that is both smart to look at and comfortable to use. Our aim is to enable you to feel calm and relaxed as you go about your daily office tasks, so that you can reach your full work potential. We believe that our ergonomic office furniture range can help you do just that. Oftentimes, chairs, tables and desks in offices are either too hard or too soft to be conducive to quality work output. This is especially true for Australians suffering from back, neck or spinal conditions, who cannot sit in sedentary positions for long hours. Even if you are fit and healthy an uncomfortable workstation can take a toll on your joints and muscles, making you feel stiff and sore. Such a work environment does not promote efficiency or productivity. It is very important to create a comfortable and relaxed environment where your staff are motivated to function at their peak capacity and are able to accomplish the maximum work output per day. A great way to ensure this is to order office furniture online that is customized to your staff’s comfort needs. At Seated, our creative team can provide you with fully customized workstations that perfectly complement how you like to work. 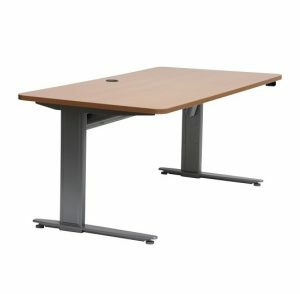 From office chairs to stools, electric desks, coffee tables, plus a range of ergonomic accessories that include back supports, footrests, floor mats, mice, keyboards and wrist-rests: each and every product in our portfolio is designed to meet individual needs and to maximize comfort at work. We are a team of designers who want to help you reach your full work potential. We believe Australians can accomplish their full potential as long as they are provided with the right motivation and environment. Comfort at work is mandatory if you want to get the most out of your staff. Our experience shows that an efficient and streamlined furniture line can do wonders in expanding your staff’s work output. With this in mind, we have launched our own line of commercial office furniture that is designed with your comfort in mind. Seated is the name of a group of individuals who love working in a comfortable setting that lets us think creatively and design productively. We aim to supply our customized furniture to businesses, government departments, home-based workers, schools and colleges. We believe that anyone in any working environment can benefit from using our carefully designed seating products. We stock internationally renowned brands as well as our own customized range. This enables us to offer you variety and quality that you will rarely find elsewhere. In the 5 years since we began trading, we have built a brand that has become synonymous with efficiency, productivity and quality. We work closely with rehabilitation professionals and physiotherapists who provide us with the specialized knowledge and insights we need to design our modern office furniture range. By doing so, we are able to ensure that your office furniture fully complements your comfort needs and helps you achieve your maximum work output capacity. Our specialized furniture has earned us repeated good responses from our clients. We have heard back from many of our customers who gladly inform us how much our ergonomically designed range has boosted their work capacity. It is heartening to get such glowing feedback for our effort and hard work, but it has also motivated us to reach even higher. Now that we know the importance of ergonomic home office furniture in maximizing your work output, we want to continue designing products that will align with your comfort needs and help you achieve even more. Our aim is simple, to see Australians capitalize on their potential and to help them to continue doing so by way of our comfort-oriented furniture line. We plan to further our research into ergonomics to upgrade our existing furniture range and to create even more specialized products to optimize your comfort at work! Each product marketed under the label Seated is designed with quality and efficiency in mind. From a large workstation to a small mouse, everything is built to suit your comfort needs as you work. Our consistent effort and extensive experimentation has resulted in a diverse product range that we can feel pride in. On our website, you will find a comprehensive listing of all our products that you can browse and order at your convenience. The price and features of each product are given separately, as well as how it can help you achieve your full work potential. 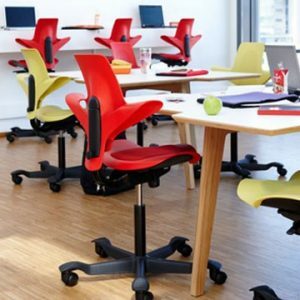 This will better help you choose ergonomic furniture and accessories for your workplace. Some of our most popular products are listed below. This fully customized chair features a square back, a high-density foam seat designed for maximum comfort and a 3-lever tilt mechanism. The chair provides intense lumbar support. Buyers can select their own upholstery and adjustable T-arms. The Imprint chair offers a unique moulding Seat, the backrest with added Lumbar and lateral support also offers a layer of Imprint Memory Active foam, giving you an individual supportive fit every time! For those requiring extra lumbar support or the ability to adjust the lumbar support level daily, your Imprint chair can be optioned with a Lumbar AIR pump. The Camry Executive features a high, contoured backrest that provides intense lumbar and lateral kidney support. It has an easily adjustable height mechanism, adjustable weight tension and a knee tilt mechanism. Its upholstery consists of premium black bonded leather with padded alloy armrests and a 5-star alloy base, giving it a very regal look. The Haworth Zody features a mesh back, seat slide, back lock and tension adjustment, along with a patented asymmetrical Lumbar support PAL. The high back is fully customisable for your comfort. The seat can be upholstered with your fabric of choice, and you can choose to add the sacral support option for maximum benefit. Other features are height or multi adjustable T-arms and a polished 5-star base. The Boss Cantilever is designed with your visitors’ needs in mind. It sports a polished chrome frame with a timelessly elegant design that makes it a very classy addition to your lobby or waiting room. The chair features a suspended backrest and a chrome cantilever base. The KAB Controller is built for use in heavy-duty work environments such as emergency services departments, surveillance and control rooms, etc. It provides 24-hour resilient support with a range of adjustable features such as backrest recline, height-riser mechanisms, tilt-lock mechanisms, and a height and tilt adjustable headrest. It is fitted with body contoured cushions and intense lumbar support for optimum comfort. An upgrade to standard office chairs, the 3Dee Active features a 3D mechanism that enables intuitive movement of the seat surface in three dimensions. 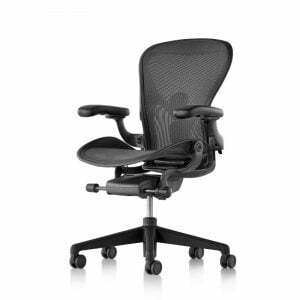 It is truly an office chair of the future with its functional yet classy design and advanced ergonomic features. It has a flexible mesh backrest fitted with cutting-edge lamellar technology that provides maximum support to the user. The chair is built to promote a healthy and active body with its ability to provide both rest and movement. 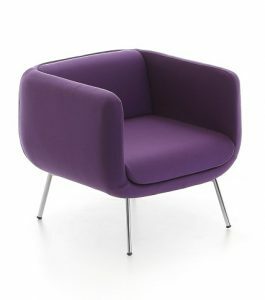 It further features an arched seat surface with a flexible front edge that supports an upright sitting position. The 3Dee Active is fully customized for your health and comfort needs. Its array of futuristic features make it an ideal addition to creatively charged workplaces. 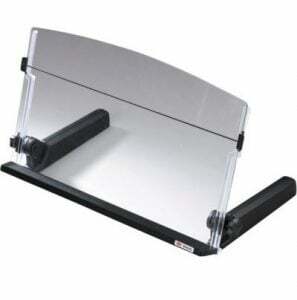 Docuglide is perfect for office use with its smart, compact and highly functional design. With its light and portable build, it can be positioned in between your keyboard and monitor. This versatile document holder promotes multitasking by allowing you to combine writing, reading and copy-typing tasks while maintaining a beneficial and comfortable posture. 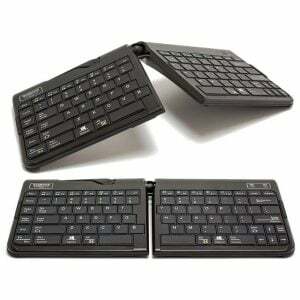 This keyboard manager can be attached to the desktop edge through a clamp mechanism. You can easily tilt or slide it according to your posture. The raised platform gives your knees extra space while working. It comes with a memory foam wrist support for added comfort. The textured surface grips the keyboard and mouse firmly in place, making typing and mousing much easier. The Plantronics headset integrates both form and functionality. It is built for high use with full sound clarity. The headset features a slim, elegant design with a satin finish and a conveniently located microphone arm that maximizes user comfort. It has adjustable-fit, leatherette ear-pads that are soft and comfortable to wear. The Quick Disconnect feature enables you to place calls on hold and to walk away from the phone without removing the headset. The Atom LED provides you with excellent lighting for office work. It uses diffusion technology to minimize hazardous blue light and glare, thereby reducing strain on the eyes. It emits a 3500K temperature white light that ensures realistic colour representation. The task light is highly flexible with a gas spring counter balance and friction adjustment by Allen key, allowing you to focus the light wherever needed. It also has easy on-off and dimming features. The Fundamental Footrest height adjustment is carried out by varying the number of spacer blocks used at either side of the platform. The angle of inclination is fixed and remains constant. 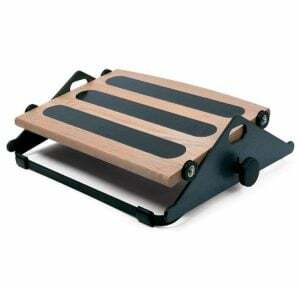 The Fundamentals footrest is supplied with 3 Spacers/Feet per side, with extra spacers or feet available for purchase. The updated Evoluent Vertical Mouse features a patented shape that eliminates arm twisting and changes the way you grip. 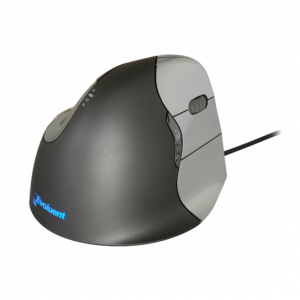 With easy to use programmable buttons the mouse features a ultra fast response and is available in Left and Right Hand versions, wireless and small hand sizes. The Ergotron Workfit Floor Mat is designed to minimize discomfort at work, allowing you to stand for longer periods. It prevents lower body fatigue and increases blood circulation while standing. 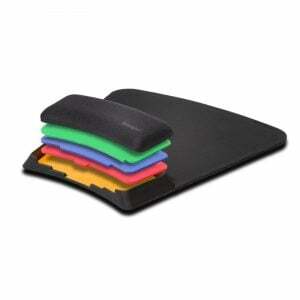 This anti-fatigue mat makes it easier for you to work while standing for prolonged periods. It is very easy to use and does not require any installation. Its compact, bevelled edge reduces tripping hazard, while the closed-cell construction makes for easy cleaning. The Workfit-TL Premium quickly installs to your existing Desk or Work Surface converting it to a Sit to Stand platform solution. Suiting the small spaces , the Workfit-TL moves straight up and down without any clamping or drilling required. Simple to operate handbrake levers on either side of the unit are used to adjust the height of the station, with a counterbalanced mechanism. 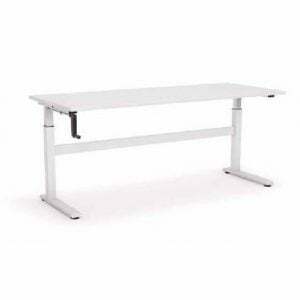 The Humanscale QuickStand is an upgrade to the standard work desk. 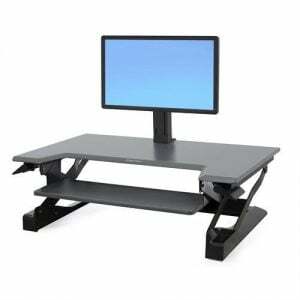 It can be clamped to the rear edge of the desktop and can be adjusted according to your work needs. It comes with full cable connectivity so all you need to do is to plug in and start working. 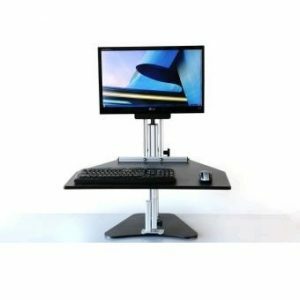 The adjustable platform enables the workstation to move effortlessly from sit to stand according to your height preferences. 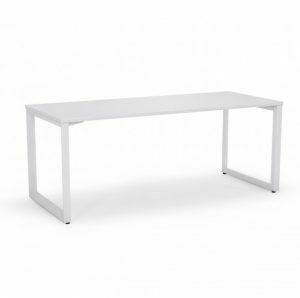 Aero is a highly functional workstation with open Cantilever legs and a compact frame in Silver or White Powdercoat. It has a fixed height of 730mm and comes with attached 400mm modesty panels. The build is elongated, strong and compact, allowing you to carry out a range of office tasks simultaneously on its surface. 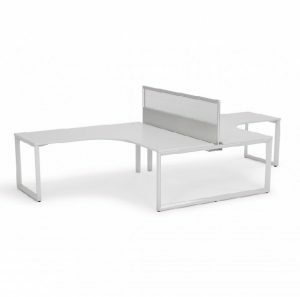 Axis is a sleek slimline desking system, designed with function in mind to compliment open plan work spaces. The Axis Straight Line’s Open leg Design allows easy access, with the support rail situated toward the rear of the frame. This means there is ample leg room under the desk for taller leg users. 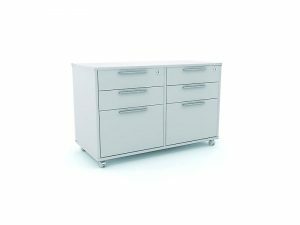 With its next-level design and user friendly features, the Nexus Lateral File Drawer truly complements the modern workplace. 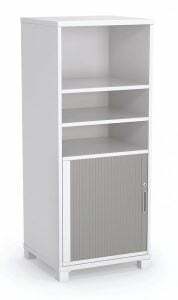 The cabinet is built with ample space for file storage, and each unit supports key-locking for added security. All filing units are counter-weighed with an anti-tilt mechanism. Its full metal construction gives you a strong and sturdy space for storing official files and folders. Its sleek and edgy design makes Silhouette a very stylish addition to any office. It features a solid, wood grain construction with a flat, disc-shaped base. 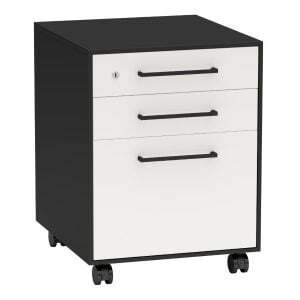 You can choose from three stunning base colours: white, black and brushed silver. The Silhouette is built for high functionality and convenience, with a standard height and ample space for placing official documents and files. 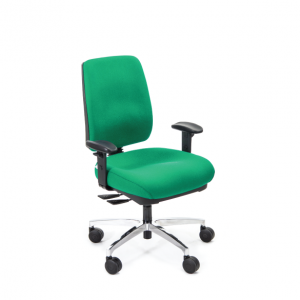 Seated brings you just what you need to maximize your work output without compromising on comfort. We firmly believe the two should go hand in hand, and our cheap office furniture is a testament to this belief. We bring you a range of furniture and accessories fitted with the latest, high quality ergonomic features that are proven to boost both workplace productivity and user comfort. When you come to us with your comfort needs, quality is one of the benchmarks we aspire to deliver. Our products conform to the highest Australian as well as international workplace standards. Our furniture range has full AFRDI and GECA certification, which makes it easy for us to inspire trust and reliability among our diverse clientele. 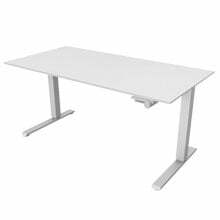 Our affordable office furniture is designed with your budgetary constraints in mind, and we make sure to keep our prices reasonable so that both large and small Australian organizations can benefit from our ergonomic range. So, if you are looking for a way to boost your office productivity without draining your funds, we have just the solution for you. You can either order office furniture direct from our website or get an appointment with our creative team in Rozelle to discuss your workplace comfort needs in detail. We look forward to serving your needs to the best of our abilities!